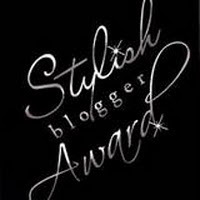 The above images are © Stampin' Up! 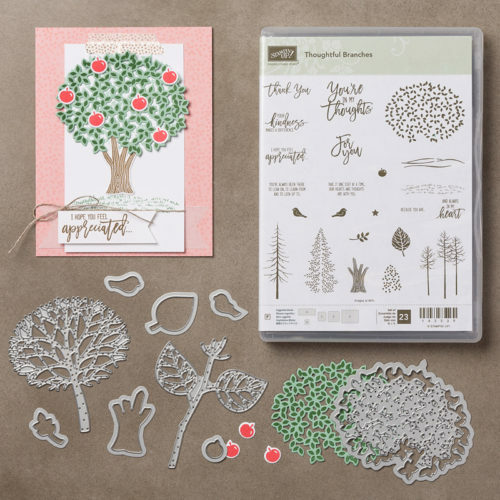 Starting tomorrow, August 2nd, you can purchase the beautiful "Thoughtful Branches" Stamp Set and coordinating Thinlits. 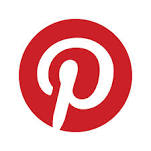 You can purchase them separately or in a bundle and save 10%. 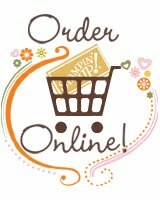 The numbers for the products are listed below, but will be in my Online Store tomorrow as well. 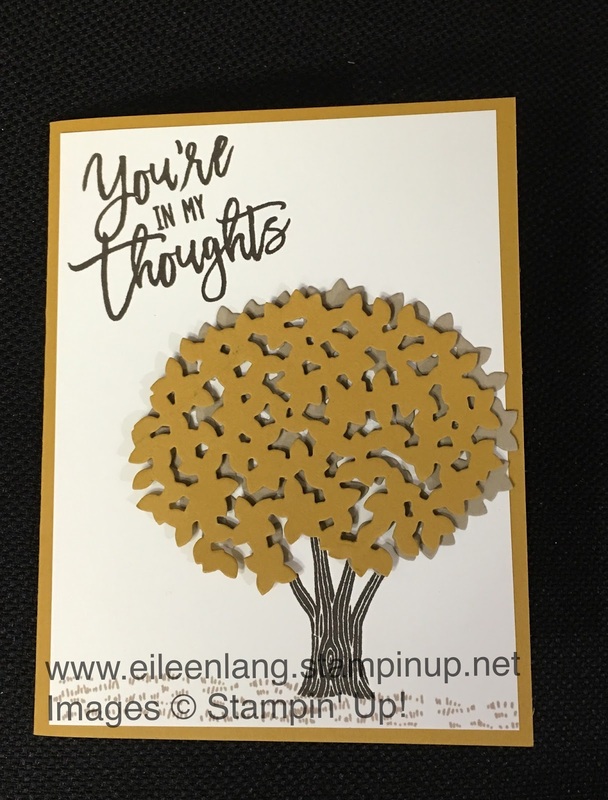 As a demonstrator I was able to preorder these products and here is just one of the cards I have made using these two new products. I cut the tree branches out twice using Tip Top Taupe and Crumb Cake Card Stock. I layered them together to create even more dimension. My tree trunk and sentiment were stamped with Chocolate Chip ink and all of this was layered onto a piece of Tip Top Taupe Card Stock for my card base. Tomorrow, when these products go live I will have another card to post. These products are available only during the month of August, or until supplies last. 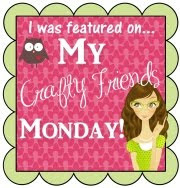 I am really hoping that this sells so well that Stampin' Up! wants to keep it around for a lot longer, but for now the information we have is that it is available for the month of August only. Special Offers Promotion starting Thursday!